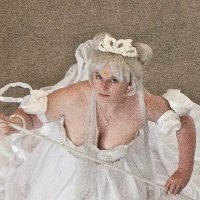 I posted a photo earlier in 2018 of my Amaterasu wig and it was very well received. Sadly though, at some point it had fallen when it's shelf perch and ended up badly squashing the rolls as well and becoming badly tangled. So back in the wash it went and I tried to salvage it with no luck. The old wig has since become one I can experiment with. I went to go watch the videos I had originally used only to find the channel gone but I did my best with what I could remember and well... I love this look so much more. The gold pins I ordered though Wish.com and I honest very surprised with the quality. All in all, when the new wig arrives I'll get to work on the permanent look. gypsy_girl Wow. Great work. 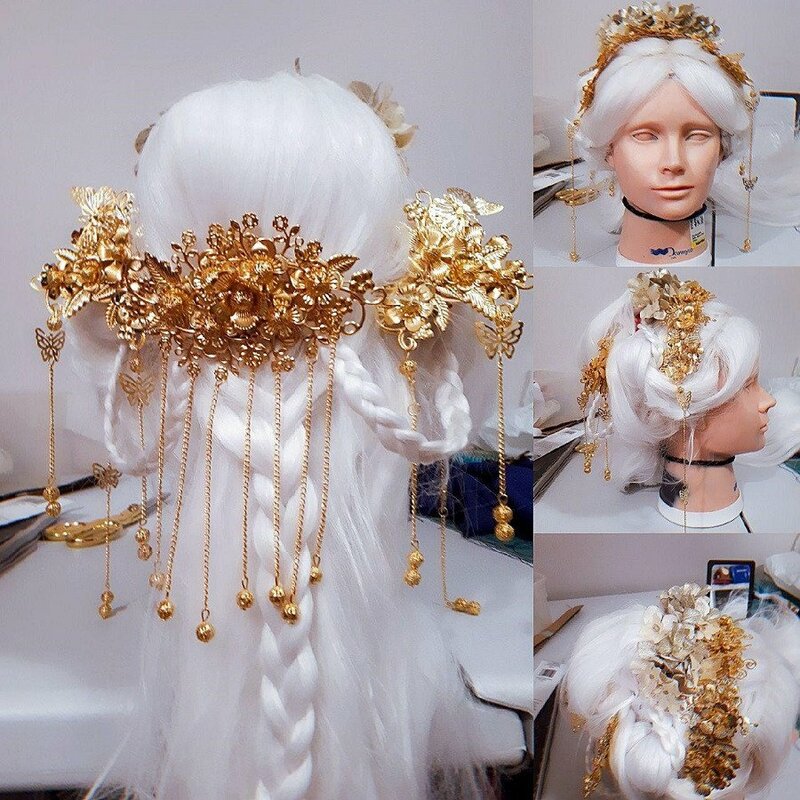 I love all the detail in the styling of the wig and the head piece is amazing.